India is a country blessed with many beaches, forests, hill stations and other such picturesque vacation destinations. Visiting all of which might take an eternity! Similarly, Himachal Pradesh is a state that is scattered with many hill stations; some are very popular destinations while the rest stay out of the limelight. One such hill station that is situated just 20 km from Shimla is the small town of Kufri. The word Kufr means "lake" in the local language, which is where the name of the town is derived from. Visiting Kufri during winter can be a fun experience since meandering paths turn into skiing tracks. For the folks of Delhi, Kufri is a place located just 356 km away making it a fantastic weekend getaway. Like most hill stations, for an absolutely pleasant experience visit Kufri during summer, between the months of May to July. But if you want to witness snow or try skiing, then winter is definitely the time to visit this picturesque town. By Train: Shimla railway station, which is 13 km from the town, is the closest railhead that connects to Delhi. Cabs are available in the station to reach Kufri. By Air: The closest airbase is Jabbar Bhatti airport of Shimla. Frequent flights are available to this airport from Delhi, from where you can take a cab to Kufri. Here are the things you can do on the way to Kufri. Sonipat is a town located just outside Delhi at about 20 km from the city, where the river Yamuna flows through its eastern border. Sonipat is famous for ghevar, which is a sweet dish that is mostly available during the winter season. On the way, try the many dhabas that are lined on the highway in Sonipat. Apart from the food, you can visit places like Khwaja Khizr Tomb and several other Mughal buildings surrounding the region. Kurukshetra is popular due to its role in the Hindu epic Mahabharata. It was the place where the big war, that most of the epic revolved around, took place. Not only that, but it was the same place where Lord Krishna preached troubled Lord Arjuna, thus, making the Bhagavad Gita. Brahma Sarovar, Sheikh Chilli's Tomb and Sthaneshwar Mahadev Temple are some of the places you must visit at Kurukshetra. Pinjore is a town set at an altitude that overlooks the beautiful ranges of Shivaliks. Located in Haryana, Pinjore is home to the famous Yadavindra Gardens, which was formerly known as the Pinjor Gardens. Pinjore Gardens happens to be the best Mughal gardens from the 17th century, which was renovated by Jat Sikh rulers from the Patiala dynasty. The garden has a Rang Mahal, Sheesh Mahal, stunning fountains and is flanked by beautiful rows of trees. 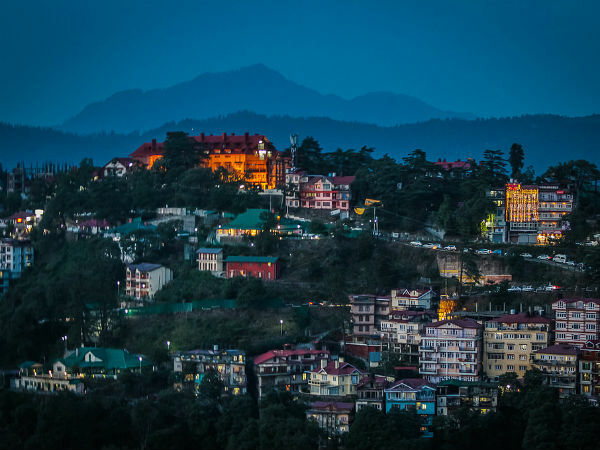 Shoghi and Shimla are two hill stations that are located at a distance of 16 km from each other. While shimla is more popular, both the places have many interesting things to do and places to visit. Visit the temples galore, such as Jakhoo Temple, Vaishno Devi Temple, etc., shop at The Ridge road in Shimla and revel in nature's beauty through a train ride from Shimla to Kalka. You can try skiing during winter in either of these picturesque places. Read about places to visit in Kufri. Mahasu Peak is one of the tallest peaks in Kufri, from where you can witness the mighty Badrinath as well as Kedarnath ranges, if the sky is cleared up. Walk through the thickets of deodar, pine and other alpine trees to reach the summit that gives a stunning view of the town. If hiking isn't your cup of tea, you can try horse riding up the peak as well. Kufri Fun World is an amusement park that is home to one of the world's highest go-kart tracks in the world. It is perched at a height of 9000 ft at the Mahasu Peak and has other fun rides like merry-go-rounds, swinging boats, etc. Since the park is set at such a fearsome height, go-karting or going on any other rides here will be extra exciting since you get a fantastic view of the rest of the town.